It seems I have always been an artist. I come from a family of artists, each of us using different mediums. I have been involved with some form of creativity since I was very young, whether it was photography, painting, or poetry. Painting is a way of expressing myself. My paintings change constantly, usually with many, many layers of acrylics and mixed media. Depending on a particular day, depending on a feeling, a thought, an observation; the colors and style may change in major ways. An added aspect is our “Fusion of Original & Digital” which is using our original artwork combined with our digital designer’s creations. 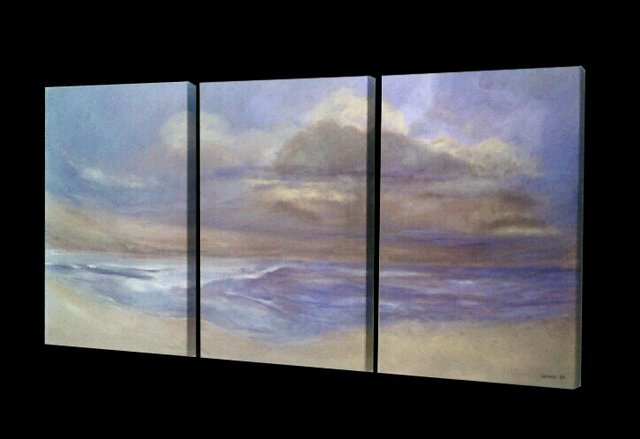 My paintings are about color, contrast, patterns and design, lights and darks. They are about the surprises that occur from layering colors and shapes so that each layer plays a part in the finished work. Each painting evolves as the shapes and interplay of color create a unified and exciting whole. Acrylics and pastels are my favorite mediums because they lend themselves to this type of experimental work. I hope to create a painting that keeps drawing the observer to it because there is always a new discovery to be made. It might be individual parts of the painting where something interesting is happening or it might be the painting as a whole. It is for the observer to decide. Call us at 713-301-7291 to make an appointment today & learn more! 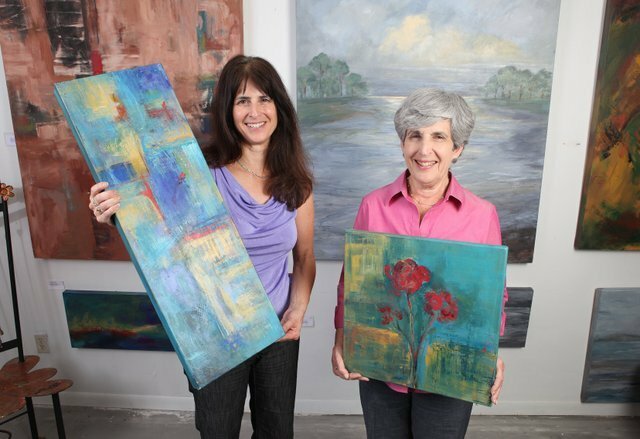 Landauer Art is a mother and daughter team of abstract artists. We work in a wide variety of media, including acrylic, pastel, and watercolor, on paper, wood, or canvas. Our studio/showroom is conveniently located in Spring Valley/ Hilshire Village area off I-10/Katy Freeway near the Galleria and IKEA. The challenge of creating a variety of different styles is truly gratifying and appreciated by our clients. We also frequently meet with clients at the location of their choice. Join our mailing list to receive the latest news and updates from Landauer Art. We promise to not abuse your inbox and we don't share or sell contact information. What we will do is send you information about Landauer Art, update you when there are new posts on our web site and let you know about studio and private, invitation only events when planned. 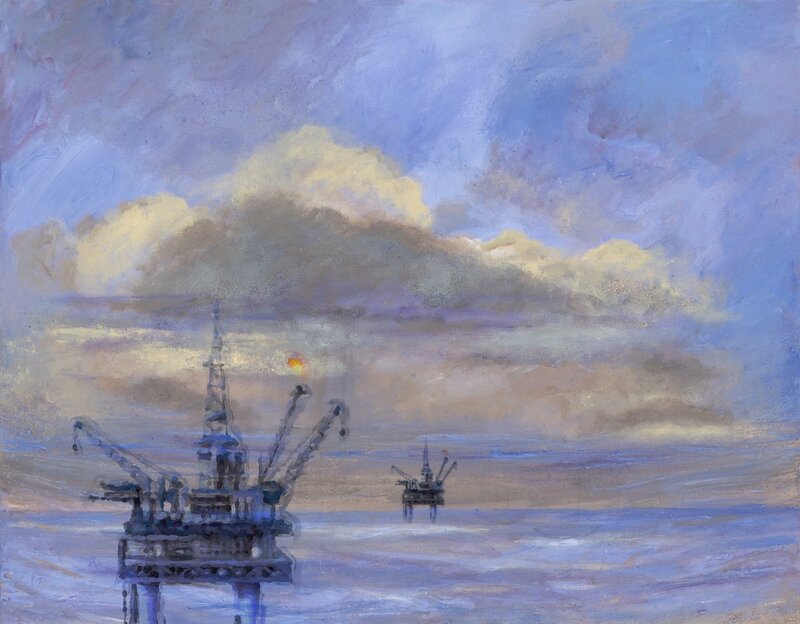 Thank you for registering for the Landauer Art mailing list.